Diet patches are becoming more and more popular. They are being marketed as the easy way to lose weight. Place them on different parts of your body; leave them on for a few weeks and the weight falls off. Yet do they really work? Guarana – guarana originates from a Brazilian plant and stimulates the nervous system. In addition, it is known as the least likely of all caffeine plants to cause anxiety. Chromium- chromium is essential for regulating insulin function as well as and balancing blood sugar levels. Should you have chromium deficiency you can get hypo- or hyperglycaemia, that is, experience extreme fatigue or sugar cravings. This particular diet patch has generated a great deal of interest due to its supposed ability to burn fat and increase energy levels, reduce body fat increase muscle mass as well as help promote weight loss. Garcinia cambogia is meant to stop the conversion of carbohydrates into fat by hampering the action of the enzyme citrate lyase. Fucus vesiculosus (bladderwrack or brown seaweed). This diet patch is meant to burn fat given its high iodine content. Iodine is utilised by the thyroid gland to generate various thyroid hormones which regulate several metabolic processes, like growth and use of energy. No scientific study has demonstrated that diet patches are effective in bringing about weight loss. No clinically proven study has shown that the combination of ingredients or their delivery system helps weight loss. Some of the patches’ ingredients can be absorbed through the skin. This may help stimulate metabolism or reduce appetite. 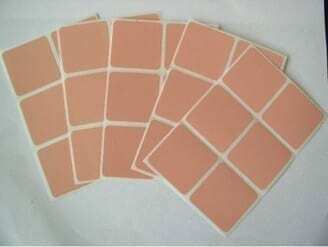 However, it is not easy to work out how these diet patches can burn fat or lower fat intake. Many would argue that the ingredients necessary for fat loss need to get into your system in a short period of time to have the full effect. This is not possible with diet patches. Many medical practitioners would advise that in terms of losing weight healthily, and maintaining an ideal weight, it is better to follow a calorie-controlled diet alongside regular exercise.